12.1" x 15.5" stitched on 14 count. 9.4" x 12.1" stitched on 18 count. 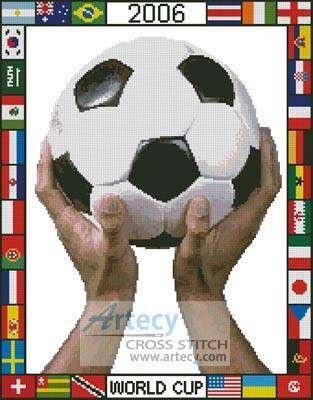 World Cup 2006 cross stitch pattern... This counted cross stitch pattern was designed to celebrate the 2006 World Cup. Designed by Artecy Cross Stitch. Only full cross stitches are used in this pattern.